FINDLAY, Ohio-They’re off and running! The new men’s and women’s track & field teams at Marygrove College got a taste of their first intercollegiate competition with a trip to NCAA Division 2 University of Findlay for their annual Oiler Open. Highlighting the first track action in Mustang history was Daryl Rouse. The field event specialist placed 5th overall in the triple jump with a 12.01m effort. The distance was only 1.01m away from the best jump by an attached competitor. Rouse added to his day by placing 8th overall in the long jump. 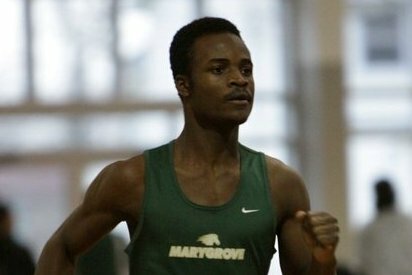 Victor Gullatte (pictured) placed 7th overall in the 600 meter, while sophomore Anthony Butler took home a 9th place finish in the men’s one mile race. The Mustangs will continue to train for their inaugural season before heading to a January 8, 2011 meet at Eastern Michigan University.